Car organization is one of my least favorite tasks…probably EVER. 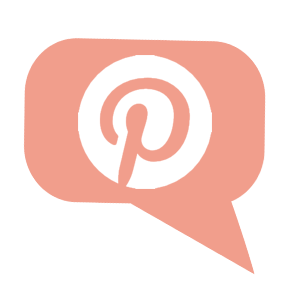 If you’re like me and hate the inevitable car organization task, try these car organization ideas! Use your best judgement when placing these on the windows, some could be dangerous if in an accident. 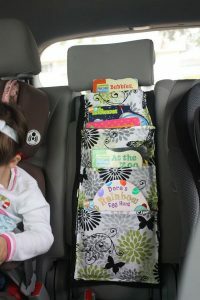 But when on a road trip, keep all of your necessities organized with suction cup storage bins. 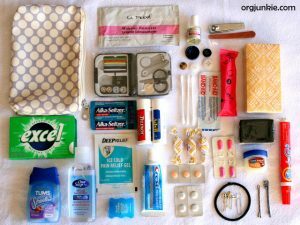 Every member of your family should have a survival kit in the car! It could be games, snacks, whatever you think your family might need in the car. 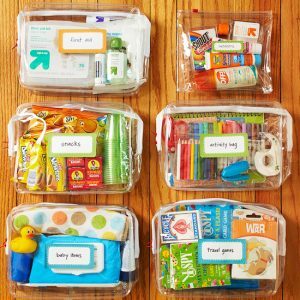 Use these clear storage bags so you can see exactly what is in each bag. My Mom used to drive me around with a seat full of books, so I can get behind this idea! Organize reading materials with a DIY over-the-seat book organizer. You can even mix and match the fabric! 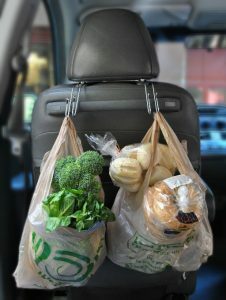 Seat hooks like these (Amazon) help keep delicate groceries off of the ground! 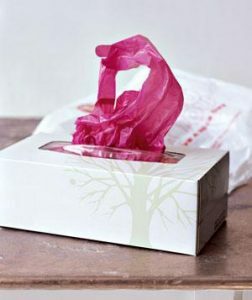 Keep car garbage to a minimum by storing plastic sacks inside of an old tissue box. Stash the box in your glove compartment! 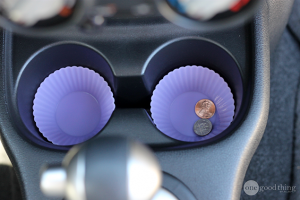 Jillie recommends lining your cup holders with silicone cupcake liners! If sticky soda is ever spilled, just pop these babies into the dishwasher instead of going through the whole production. Because if an accident really DOES happen, does any one really want to be fumbling around awkwardly through a cup holder? 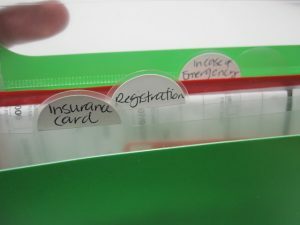 Organize the necessities with a small collapsable organizers. Add an Emergency Only kit to your car survival kits! Complete with anything you could ever need if something goes wrong! Of course, I would fill another with a heavy duty blanket, and some other necessities! Keep your car fluids from leaking all over your backseat by storing them in a cleaning caddy. Plus, it’s easy now to remove what you need! One more thing to tuck away in your glove compartment, but a necessary one at that! 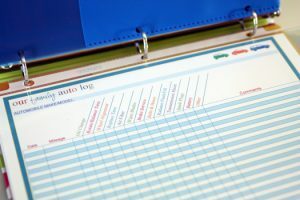 Keep track of auto payments, services, and just about everything else with this handy little printable. No one will ever forget that necessary tire rotation again! 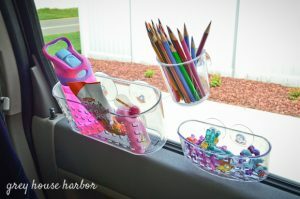 I found these car organization DIY projects on the following websites. 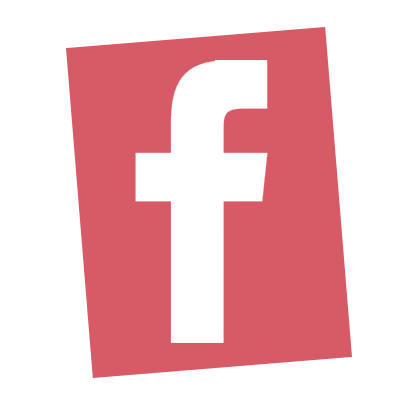 Click these links for the how-to projects!